The exact cause of a Kohler Cimarron toilet running non-stop depends on the exact model of toilet owned. In some, the lift chain connected to the handle can become kinked, preventing the ball seal from covering the drain completely. Just unkink the chain to fix this. The exact cause of a Kohler Cimarron toilet running non-stop depends on the exact model of toilet owned. In some, the lift chain connected to the handle can become kinked, preventing the ball seal from covering the drain completely. Just unkink the chain to fix this. In other cases, the float ball is stuck against the side of the tank, preventing it from returning to its normal horizontal position. When this happens, the toilet’s tank doesn’t stop filling with water. The excess continuously flows into the overflow pipe. Dislodge the float ball from the side of the toilet and this should clear the problem. Likewise, you might consider shortening the armature on which the float ball sits, so it won’t become stuck again. 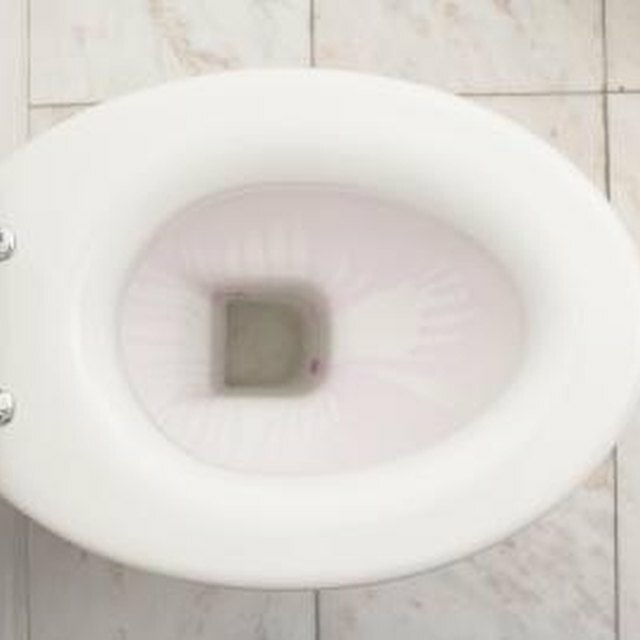 If the toilet won’t flush, or the handle is loose, there are two possible reasons: the lift chain or lift wire connecting the handle to the ball seal has become disconnected, or the handle mounting nut placed on the inside of the tank is loose. Simply lift up the lid of the toilet tank and look inside. There should be a wire or chain connecting the handle to a plug at the bottom of the tank. Reconnect it if it’s come away from either the handle or the plug. An adjustable wrench will be needed to see to the mounting nut. It’s set at the base of the handle on the inside of the tank. Rotate it counterclockwise to tighten it. Fixing a clogged toilet isn’t that difficult, provided one has the right tools. There is a marked difference between a cup plunger and a flange plunger. Cup plungers are used for clearing sink and bathtub drains, while flange plungers have a larger internal cavity with a smaller mouth. Simply put the business end of the flange plunger against the drain of the clogged toilet and press down to form a seal. Repeatedly pressing the plunger in and releasing it should force the clog through. If the clog is deep or particularly stubborn, a toilet auger is needed. It’s a long metal mesh tube with a crank handle on one end and a claw at the other. Thread the claw through the toilet bowl to its full length and turn the crank to break up the clog. What Tools are Needed to Install James Hardie Siding?